Core aeration is the process whereby small plugs of grass and soil are removed from your lawn, reducing soil compaction and giving the roots of your grass room to grow as they are refreshed by fresh oxygen, water and nutrients. When combined with overseeding and slice seeding, lawn aeration revives the health of your lawn by making your existing turf more healthy as well as promoting new grass growth in your lawn. Naturally Green has the latest models of core aerators that provide the maximum amount of core removal while doing no damage to your lawn. 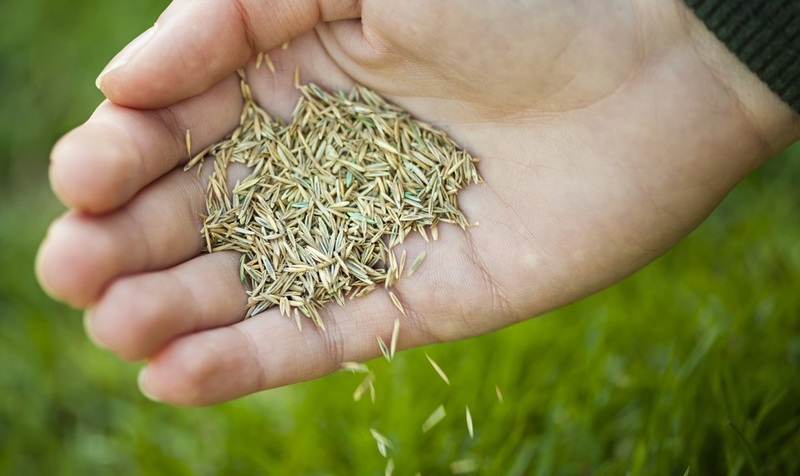 After aeration or as a separate application, Naturally Green spreads high-quality seed on your lawn – giving your lawn an extra push as more blades of grass are cultivated in your lawn. If done after aeration, the seed falls into the core holes and mixes into the cores as the cores break down. The seed then ‘takes off’, replenishing the turn with new young seedlings. With slice seeding, a machine is used to poke small holes into the ground, into which seeds are then inserted. While being more targeted than overseeding, slice seeding can be applied in areas where your lawn is thinning, or over the entire lawn as a combined process with overseeding. Both slice seeding and overseeing are an inexpensive way to replenish your lawn and to enhance the health and appearance of your lawn.